When are Used Car Dealers Required to Issue Refunds? Although many used car dealers make vague promises about refunding a buyer’s deposit if that person discovers damage within a certain period of time, or is otherwise unhappy with an offer, it is not uncommon for dealerships to fail to respect these guarantees. 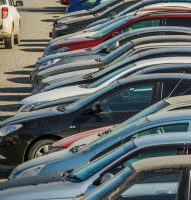 Fortunately, Pennsylvania law does require used car dealers to make refunds in certain situations, so if you recently purchased a used car from a dealer who is refusing to issue you a refund, it is important to contact an experienced used car fraud attorney who can evaluate your case, and if possible, help you seek compensation for your losses. The buyer canceled the contract because the dealer failed to deliver the car within a certain time period, or if no specific time period was stated, within eight weeks of the date that the contract was entered into, unless the delay can be linked to acts beyond the dealer or manufacturer’s control. In these cases, used car dealers are required to fully refund a buyer’s deposit and if they fail to do so, they can be held liable both for the deposit and related costs. Fail to issue a full refund within a reasonable period of time that cannot exceed five days. If a dealer does include refund-related language that it intends to honor in an advertisement, it must also clearly and conspicuously disclose reasonable conditions and limitations when making an offer. The seller failed to disclose a major structural defect. Once a used car is returned, the dealer has ten days to either repair the problem or refund the buyer’s money. The law also requires dealers to provide a copy of any warranties to the purchaser within 15 days of payment. For help obtaining your own refund for the purchase of a defective used car, please contact experienced Philadelphia used car fraud attorney Louis S. Schwartz at CONSUMERLAWPA.com today.